PLEASE BE PATIENT WITH US. 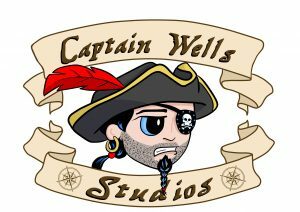 Heather and Aaron are in the process of building up this website and consolidating our art websites under the name Captain Wells Studios. As we work on this, please feel free to check out our individual websites and out Facebook pages. Captain Wells is an artistic collaboration of Heather Alston and Aaron Shirley. Heather and Aaron both studied Art at Peru State College and have continued their artistic pursuits together after college, setting up to display art at shows and conventions across the Midwest. They work in a variety of mediums including charcoal, oil paint, watercolors, and acrylic paints. Their current projects include a variety of subject matters ranging from Doctor who and Star Wars to Windmills and Flowers. 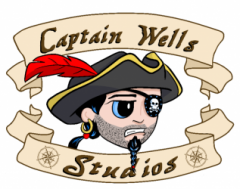 *All artwork appearing on this site belong to the artists of Captain Wells Studios and may not be reused for any purpose without the expressed written consent of the artist and Captain Wells Studios.